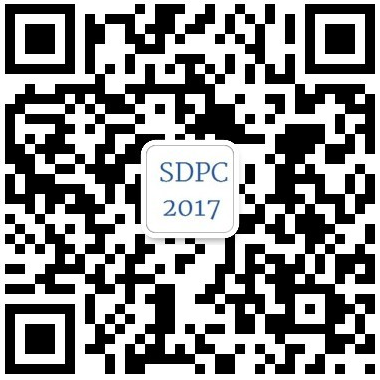 It is our pleasure to announce that the 2017 International Conference on Sensing, Diagnostics, Prognostics, and Control (SDPC 2017) will be held in Shanghai, China, on August 16-18, 2017. The conference venue is located at Shanghai Aircraft Customer Service Co., Ltd., 100 Jiangchuan East Road, Shanghai, China. Welcome to SDPC 2017. SDPC 2017 will be held together by Shanghai Aircraft Customer Service Corporation ( China), Chongqing Technology and Business University (China), Carleton University (Canada), the IEEE Reliability Society, and International Society of Measurement, Management, and Maintenance. SDPC 2017 will offer opportunities to bring the experts from both academic and industrial fields together to attain synergetic exchanges of ideas and practices. Prospective authors are invited to submit high-quality original research and technical contributions for presentations and posters in conference. All papers will be included in a conference proceedings published by IEEE CPS (EI Indexing). Approximately ten outstanding papers will be selected for a Special Column with Chinese Journal of Aeronautics - Elsevier (SCI Journal), and approximately forty outstanding papers will be selected for publication on Journal of Intelligent and Fuzzy Systems (SCI Journal). SDPC 2017 provides a forum for researchers and practitioners involved in different but related domains to confront research results and discuss key problems. The scope of SDPC 2017 includes the research and development fields of collaboration technologies and their applications to sensing, diagnostics, prognostics, and control in industries and societies. Application domains include, but are not limited to, aerospace, electronics, energy, transportation, communication, construction, and many others. The SDPC 2017 will set 5 Best Paper Awards (Certificates & Cash) for student authors/presenters, and will also set 5 Best Paper Awards (Certificates & Cash) for non-student authors/presenters. English is the official language of the SDPC 2017. The 2017 IEEE International Conference on Prognostics and Health Management (IEEE PHM2017) will be held at Marriott Courtyard, Allen (Dallas), TX on June 19-21, 2017. Copyright©SDPC 2017 - All Rights Reserved.